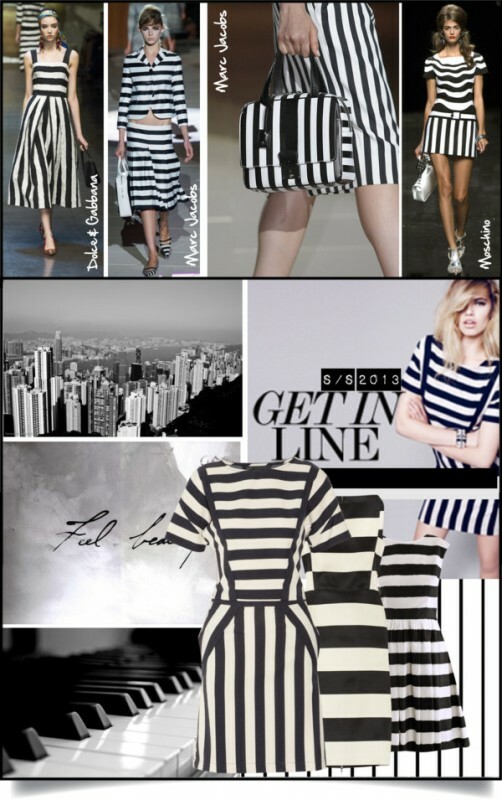 The combination of black and white is shaping up to be one of S/S 2013‘s hottest trends, namely in the form of stripes. Marc Jacobs, Dolce & Gabbana and Moschino showed one of the most stunning two-tone takeovers. I am convinced that chances are high, that you already have a few black-and-white-striped pieces in your closet, but look for a style update to take it up a notch. To get in on one of summer’s boldest trends, step inside to shop my picks now. Personally speaking, a striped blazer is my must for this season. An easy way to take your outfit to the next level. Walk the line and have fun!